“Play Rummy Online to Refresh your mind at Any time and Anywhere on Mobile”. – play rummy online. Playing the Rummy card game can be a most rewarding pastime activity for anybody. Most of us in India are quite used to playing this game on an almost daily basis. Most of the people find themselves calling on WhatsApp or watching movies and listening to songs on their smartphones during most of the day. “Online Rummy is a fun way to pass time at home when you got nothing else to do or when you are on a long-haul train/bus/car journey”. Putting some time to play rummy online on your mobile phones then does make sense given that it actually pays big-time. You will earn Monthly Prizes at most rummy portals. Thereby making online rummy a most rewarding activity. Why is hard work the key to success? Web Rummy or Mobile Rummy – Which one is better? If you like coffee, then you can start with warm cups of coffee on your day. Similarly, rummy players can play their favorite game at any hour of the day and on any day and anywhere. Log in to rummyculture.com at any time, you will find many players online to play rummy with. You can play rummy with your tablet or cell phones, too. You can open Rummyculture.com from any device – be it a laptop/desktop, or cell phone, or tablet, and the experience is just the same. 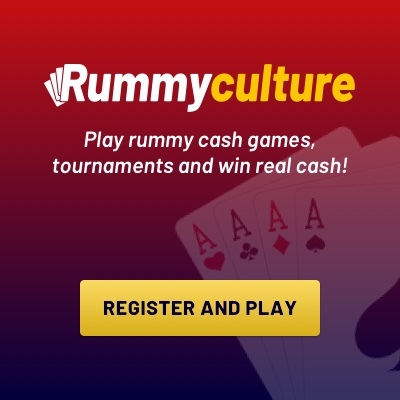 If you are playing rummy online for free and want to play for real money, then rummyculture.com gives you a welcome bonus to start the journey. Playing online rummy can be a great source of generating extra pocket money. Students can enjoy playing this 13-card game while honoring their mathematical skills.